Residex reported a 16% jump in sales in Mudgee over this period, with 548 properties selling. The median Mudgee rent is up 30% for the year to $410 per week, equating to an average yield of around 7.8%. Mudgee ranked just above the Hunter Valley, where houses appreciated 7.18% over the year to August with a median price of $324,000. Other strong performers were Riverina houses (4.27%), Penrith Windsor houses (3.95%) in Sydney’s West, Bathurst Orange Houses (3.43%) and south-west Sydney units (3.47%). The worst-performing markets was upmarket Neutral Bay/Spit houses (-8.16% to a median of $2.02 million) followed by north coast houses (Port Macquarie, Coffs Harbour, Foster), with prices down 5.53% to a median of $348,000. The historic country town of Mudgee lies 270 kilometres north-west of Sydney in the fertile Cudgegong River valley and benefits from both agriculture, tourism and nearby mining activity. It was included on Smart Property Investment magazine’s Fast 50 report due to nearby mining activity and expectations of strong population growth. Luke Berry of property investment advisory firm nexthotspot.com.au says there are a possible six resources projects opening up in the next three to five years in the Mid-Western Shire, which will create an additional 2,000 new jobs. Berry expects the Mudgee population to grow by 25%, or 6,000 people, over the next five years. 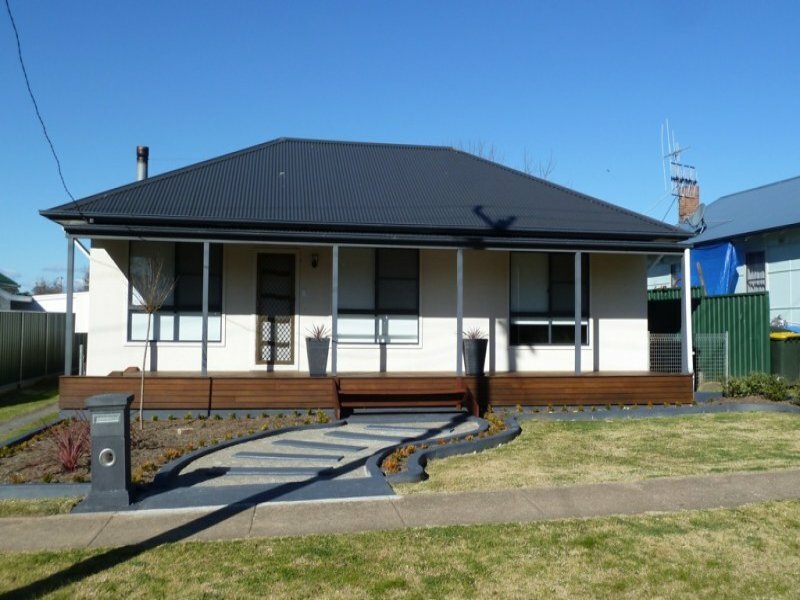 Mudgee also benefits from a very tight rental market, with realestate.com.au reporting just 56 properties available for rent. 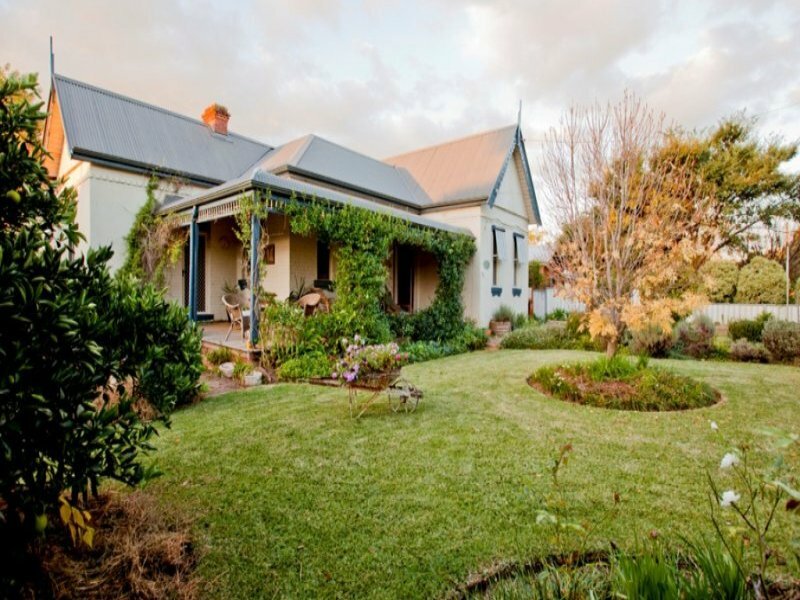 Recent property sales in Mudgee include this five-bedroom Victorian-era home (pictured below) – Kia-Ora – on Gladstone Street, which sold through Damian Kearns of The Property Shop – Mudgee for $665,000. It dates back to 1898 and has previously operated as a bed and breakfast. It had a land value of $33,300 in 1995, according to RP Data records. Mudgee’s first property boom occured around 1851, when gold was discovered nearby by Edward Hargreaves leading to prospectors flocking to the town, with the population soaring from just 200 to reach around 20,000. Following the petering out of the gold rush towards the end of the 19th century, Mudgee was sustained by the wool and wine industries as well as the opening of a railway extension in 1884. Closer to the Mudgee median price, this renovated three-bedroom house (pictured above) on a 1,110-square-metre block on Lewis Street sold through Lucas Sheppard, also of the Property Shop, for $350,000 in August. The unrenovated property sold for $295,000 in February last year, having sold for $110,000 in 2000.